This package is a fantastic day filling experience and unique in Amsterdam. The activities in this package give you everything you need for your ultimate group event. It has got fun, adrenaline, relaxation, drinks and movement! 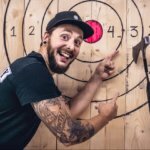 You will start the day with target shooting at a shooting range in Amsterdam West. After that you will cruise over the canals for 1,5 hours including beer, wine and soda. 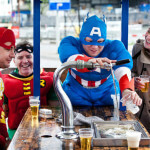 At the end of the cruise, you will be dropped off nearby Amsterdam Central Station, where the Beer Bike will be waiting for you to start a tour of 1,5 hours through the city. This day filling package costs € 99,50 per person. The minimum amount of participants is 10 people. We will pick up near the Amsterdam Central Station and you will cruise over the canals for 1,5 hours. 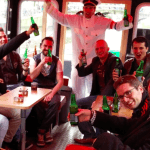 There is unlimited beer, wine and soda included during your boat cruise. You and your group will sail through the heart of the city over the canals and you will end near the Amsterdam Central Station. This package is a fantastic full day program and will take around 5-6 hours and it's exclusive by Amsterdam Bachelor. We will give you a great day with action, fun & culture. 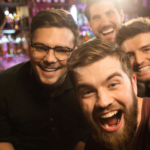 These activities combined will make your group event one to remember. Ideal for your stag / hen party, company trip, birthday or any other group event. Feel free to contact us when you have any questions or get a quote If you like this full day package of Beer, Guns, Boats & Fun.